Independence Day of State of Somaliland is a public holiday in Somalia that commemorates the proclamation of independence of British Somaliland as the State of Somaliland on June 26, 1960. Somalia is a country in Northeast Africa. In the late 19th century, the territory of what is now Somalia was divided between Great Britain and Italy. During the Second World War, British Somaliland was invaded by Italian troops, but Britain eventually regained control of it. After the war, British Somaliland remained a protectorate of the United Kingdom, but it was decided that British Somaliland and Italian Somaliland would be united as a single independent state after a prolonged transition period. On June 26, 1960, British Somaliland gained independence as the State of Somaliland. 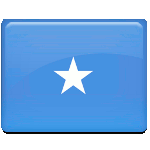 On June 1, the two former colonies united to form the Somali Republic. The anniversaries of both events are now celebrated as public holidays in Somalia. When Somalia was torn apart by a civil war, Somaliland once again proclaimed its independence. The Republic of Somaliland regards itself as the successor state of the State of Somaliland. However, it is internationally recognized as an autonomous region if the Federal Republic of Somalia.